Here is the another major security warning for all the WordPress users, that a critical Persistent XSS Zero-day vulnerability found in WordPress latest version. This is the newly discovered vulnerability that leave millions of the WordPress site under threat. 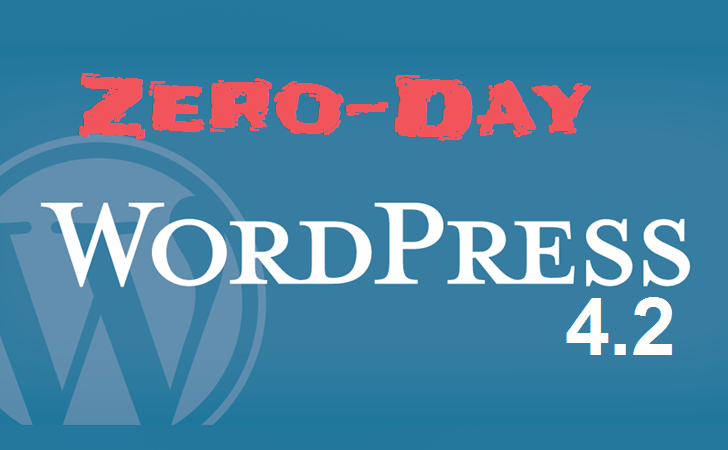 Security researcher "Jouko Pynnönen" from the Finland-based security firm Klikki Oy, have discovered the Critical Zero-day vulnerability affecting WordPress’ comment mechanisms. Attack code has been released that targets one of the latest versions of WordPress, making it a zero-day exploit that could touch off a series of site hijackings throughout the Internet. We all know that WordPress site allows users to post comments via the WordPress commenting system, and if you have enabled the commenting system then your site is vulnerable to this Zero-Day Persistent Cross Site Scripting (XSS) attack. Vulnerability allow an attacker to inject code into the HTML content received by administrators who maintain the website. Attacks work by embedding malicious code into the comments section that appear by default at the bottom of a WordPress blog or article post. The vulnerability is trigger as critical because the successful exploitation of the vulnerability allows the attackers to change the passwords, add new administrators, or take just about any other action legitimate admins can perform. This could be the worst situation for all the WordPress users because, there is no patch available for this zero-day XSS vulnerability and vulnerability affects the latest version of WordPress too. As there is no Patch available at the meantime of the vulnerability, so it is recommended to all the administrator to disable the commenting system. To disable the commenting system, just follow this -Dashboard, Settings/Discussion, select as restrictive options as possible.